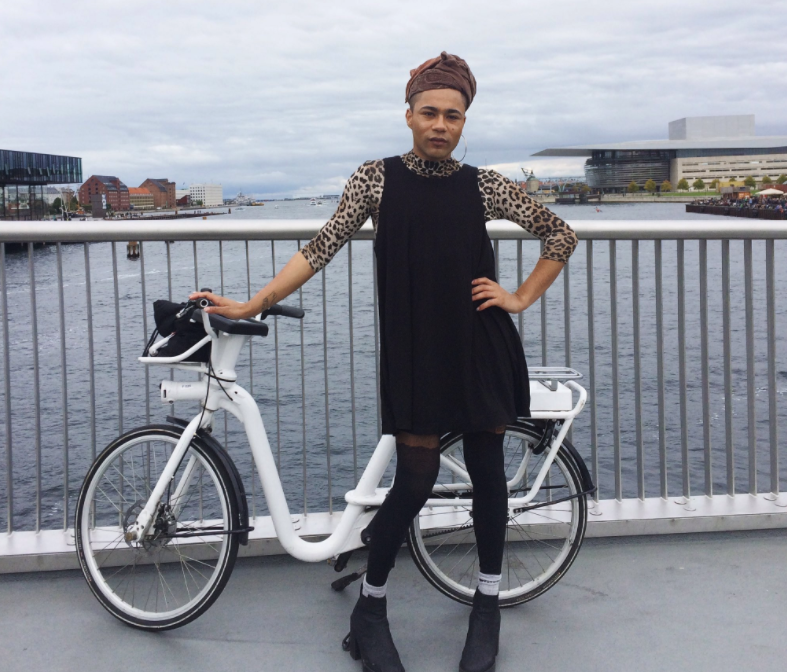 "My day instantly became politicised when all I wanted was a chill day shopping," Travis Alabanza told BuzzFeed News. A trans person was refused entry to a changing room in Topshop despite the fashion brand's policy to make them available for all customers. 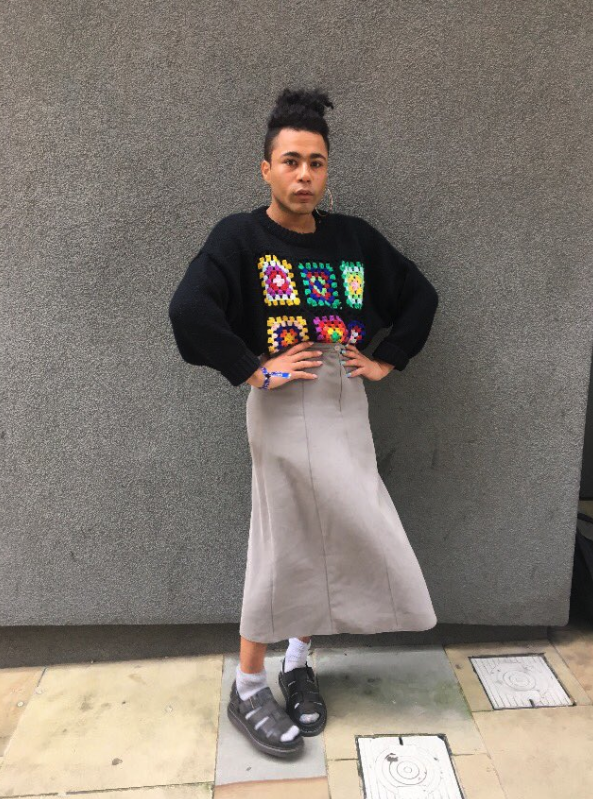 Travis Alabanza, who identifies as trans feminine and uses the pronoun "they", was shopping with a group of colleagues at a central Manchester branch of Topshop on Sunday afternoon to buy a dress for a big work event this week. "I normally online shop for this reason," Alabanza told BuzzFeed News. "But we were going in a group [to the event] so I thought it would be fun to go shopping in a group. We were in quite a good mood and all found outfits that we all wanted to wear." Alabanza, who was wearing a dress and makeup at the time, queued up at Topshop's changing room to try on a selection of dresses, only to be refused entry. They were initially told by the changing room attendant to take the dresses they wanted to try on downstairs to Topman, where the men's changing rooms are located. "She wasn’t rude, but she wasn’t sympathetic either," Alabanza said. They said they asked to speak to a manager who also said they must take the dresses to the Topman changing room, claiming it was because there were women in their underwear in the Topshop changing room. When Alabanza said they did not feel comfortable explaining the situation and trying on the dresses among men, they told us, they were met with indifference from Topshop staff. "I said, 'I’m not going to be safe down there. What do you want me to do?' and they just kind of shrugged," they said. Frustrated and upset, Alabanza and their friends left the shop without buying anything. "I was pretty pissed off," they told us. "It’s my only day off this week and I just wanted to buy some clothes. I didn’t have time to buy them online. "I did think I could buy the dresses and take them home to try on, but I felt like, why am I doing this? My day instantly became politicised when all I wanted was a chill day shopping." While Alabanza said they were used to attracting attention as a trans person when out shopping, the additional reaction from Topshop staff made it worse. "Naturally I was already getting looks and stares as I always do, and that is the kind of thing you’re used to when you’re trans, but I think when I was stopped at the changing room, I noticed the stares even more," they continued. "I was quite upset – it ruined my day." A spokesperson for Topshop told BuzzFeed News changing rooms at neither Topshop nor Topman should be specifically gendered. "Both the Topshop and Topman fitting rooms are available for all customers to use," the spokesperson said. The spokesperson did not respond to specific questions about the incident but said they had been in touch with Alabanza directly. Alabanza told BuzzFeed News that following our inquiries, a spokesperson for Topshop had contacted them and apologised for the incident, reiterating the store's policy on all-gender changing rooms. But Alabanza said they didn't feel optimistic that similar situations wouldn't continue to happen and believes Topshop needs to ensure staff are provided with better diversity training, as well as full knowledge of the store's policies. "It goes beyond responding that they have all-gender changing rooms," Alabanza said. "That’s not true. They clearly need to train the staff about what it means to serve every kind of customer, how to advocate for us and respond against people who are phobic." Topshop's spokesperson declined to say when the chain's all-gender changing room policy was implemented, or to provide details of how it was communicated to staff working on the shop floor. When Alabanza tweeted about the incident shortly after it happened, several other people responded saying they'd had similar experiences. Some claimed they had been told Topshop did have all-gender changing rooms and some had been told otherwise, Alabanza said. "Topshop’s just been awful," Alabanza said. "They responded to two people saying they didn’t have gender-neutral changing rooms, and now they’ve said they do. It seems like they’re not consistent in their response." Alabanza also found it concerning that in their exchange with Topshop customer services over Twitter DM, the response appeared to relate to an error with a customer order. "It was clearly a copy and paste tweet, clearly a bot," they said. They said the incident highlighted the everyday difficulties faced by trans people, "after seeing how common a problem this is, and how much it’s accepted, and seeing how much trans people have already altered so much of their daily lives just to exist. "That we just accept that you don’t go shopping in public any more." Alabanza said the experience had put a damper on the event they were shopping for, and even led them to consider dressing differently for it. "It’s completely changed my feelings. I’m not really excited about what I’m going to wear," they said. "I was considering going and getting a suit but I want to stick to my principles. It’s just been a whole stretched-out thing when all I wanted was to go into Topshop and go out."